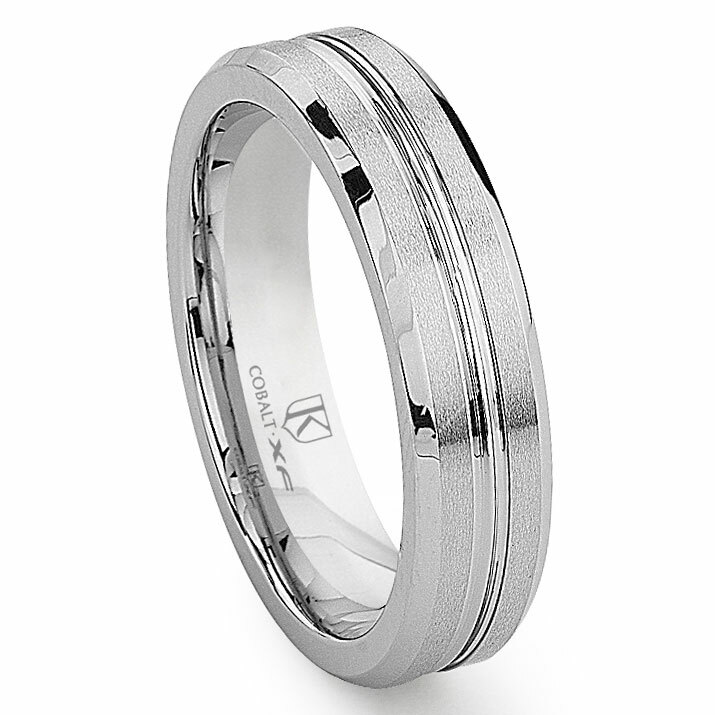 A spectacular looking wedding ring that you do not see designed this way with precious metals is this cobalt xf chrome 6mm ribbed wedding band with beveled edges. crafted from high polish white gold color and a matte finish top surface which features a ribbed edge running the center of the rings surface. The wedding band is 6 millimeters wide and comes in a wide assortment of sizing options. One of the best metal alloys for making a wedding ring that will last a lifetime is cobalt chrome. It is one of the strongest metals known to man and as such will not twist, bend, or break. This means the wedding band will last as long as your marriage and that of your children, and even grandchildren. The ring will not tarnish or fade. We offer a full line of titanium, tungsten, and cobalt chrome wedding bands and jewelry all backed by a 100% lifetime warranty. Love this ring! It was everything I had hoped for! !